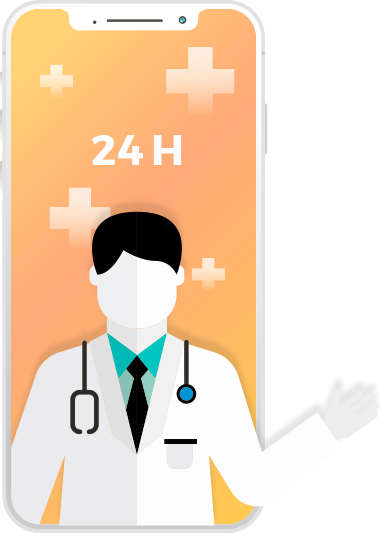 We offer world best Tele-medicine apps development services. More and more doctors and other specialists in healthcare are seeking out the latest technology to deliver fast help to patients in via a variety of means - from the more mundane tasks of online appointment setting to cyber visits and patient consulting done via mobile apps, right through to web portals which allow audio-visual communication to even the remotest parts of the world where diagnosis of diseases or injury surgery is being carried out. Connections that can save lives and we're proud that StarTele Logic can play a part in that process. Tele-medicine or the remote diagnosis and treatment of patients is done using telecommunications as the primary mode of interaction. Patients can access and seek expert medical care with doctors remotely, while medics can provide prescriptions faster. At the same time, it results in saving as it cuts down the need to travel for treatment. StarTele Logic respects the fact that Tele-medicine is a boon for patients who want access to good healthcare or specialized consultation from distant places. in urban areas doctors and patients are often too busy to see physically each other regularly, but can nevertheless interact on a variety of medical issues through mobile devices. Mobile health clinics and industrial health providers rely on Tele-medicine to respond to unpredictable health problems. StarTele Logic in turn responds to the need of medic staff faced with difficult scenarios in communication. As an expert in VoIP, StarTele Logic is able to develop Video and Voice calling applications that integrate processes to meet the demands of the healthcare industry. Creating practical, friendly and effective specialized applications. 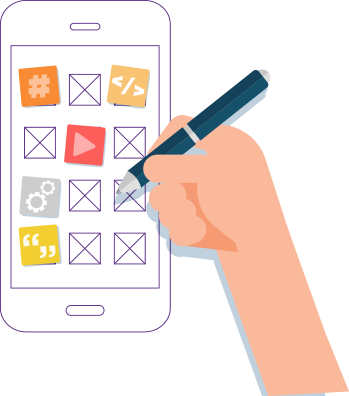 These apps can combine various functionalities and features depending on what's required. 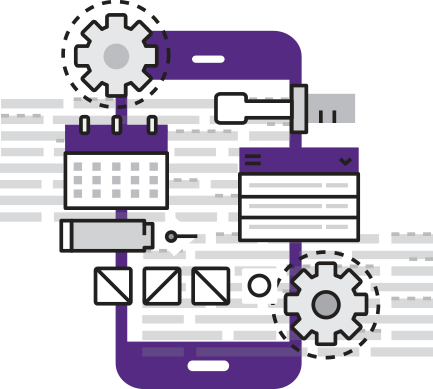 We develop a fully encrypted native language mobile, web and hybrid applications for Windows, Android and iOS devices. 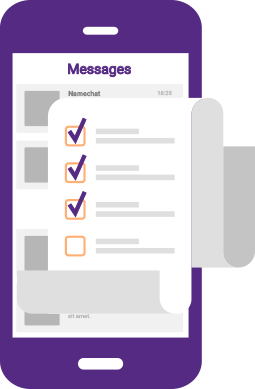 We know the complexities of building Audio, Video, and Chat along involvement uses using marketable platforms and open source communication libraries for building portable applications. StarTele Logic is extremely skilled in User Experience (UX) strategy, and domain-specific development, well aligned to the requisite business processes. 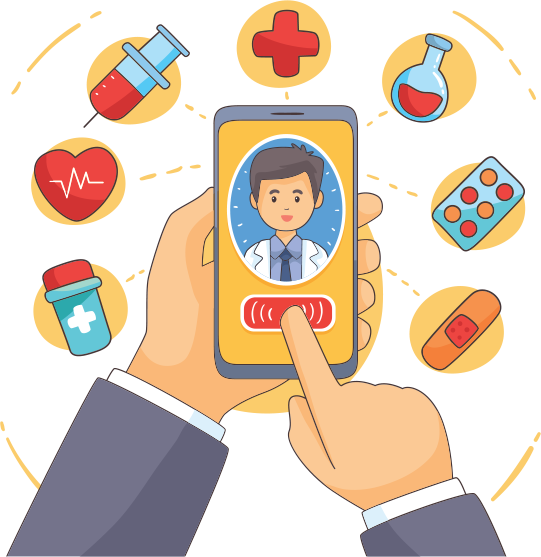 Development of Telemedicine applications for iOS and Android platforms. Cloud-based video conferencing solutions with secure file transfer through end-to-end encryption components and data channeling function. Exclusive video conferencing platforms with text messaging, screen sharing, and custom integration of audio and video. Virtual office platform development that mirrors your brick and mortar clinic through HIPAA compliant virtual waiting rooms and video recoring/ streaming abilities to register patient precedence. 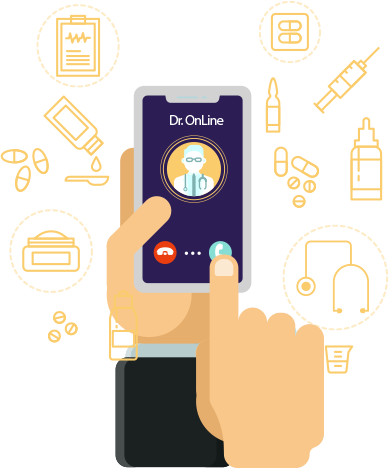 A good Tele-medicine application allows the user to provide medical care from their fingertips. If you aim to provide such a service to reach out globally, please contact our healthcare technology experts for developing a world class Tele-medicine solution for you.